With “Russian Lullaby,” Irving Berlin (born Isador Beilin) explores his childhood roots as an Eastern European/Belarusian Jewish immigrant. The song is like a folk melody and the lyrics are lovely. 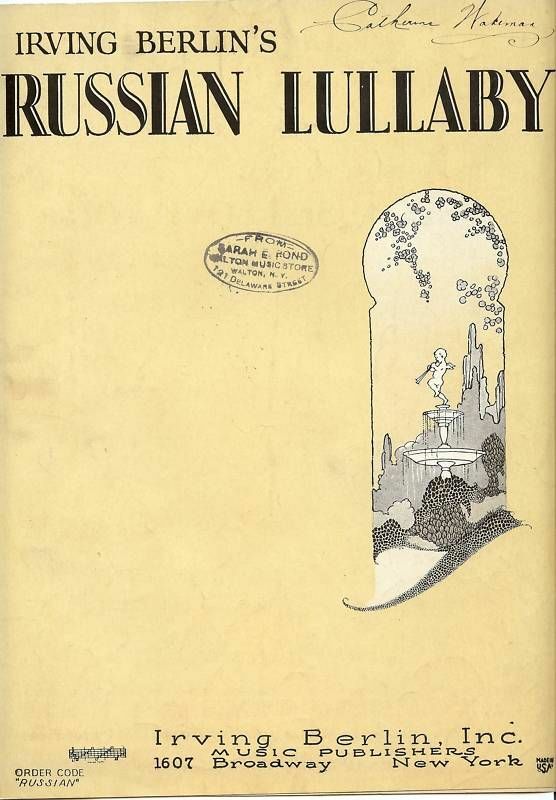 “Russian Lullaby” was first used in vaudeville and gained recognition with the recording by Roger Wolfe Kahn and His Orchestra. It has also been recorded by Bunny Berigan, Guy Lombardo, Bing Crosby and Dinah Shore, among others. 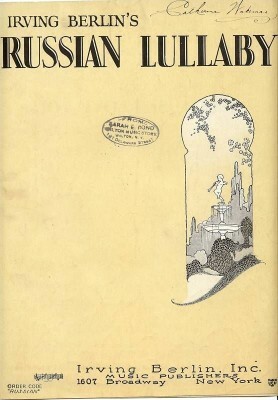 “Russian Lullaby” was recorded in May 1987 and was released that year on Bennett/Berlin. This song was arranged by Tony Bennett and features Dizzy Gillespie on trumpet.